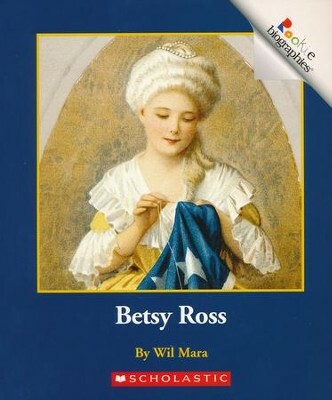 Learn about the seamstress of the first American flag, Betsy Ross, with this "Rookie biography" for kids. Featuring portraits and other historical imagery along with a simple and engaging text, this book is a great way to engage children in history and encourage beginning readers. Pictorial dictionary and index included. Recommended for ages 4 to 8 years. Softcover. I'm the author/artist and I want to review Betsy Ross.